The SY898535XL is a 3.3V, low skew, 1:4 Crystal Oscillator/LVCMOS/LVTTL-to-LVPECL fanout buffer with selectable single ended clock or crystal inputs. The clock input accepts LVCMOS or LVTTL input levels and translate them to 3.3V LVPECL levels. To eliminate runt pulses on the outputs during asynchronous assertion/de-assertion of the clock enable pin, the clock enable is synchronized with the input signal.The SY898535XL operates from a 3.3V ±5% supply and is guaranteed over the full industrial temperature range of –40°C to +85°C. 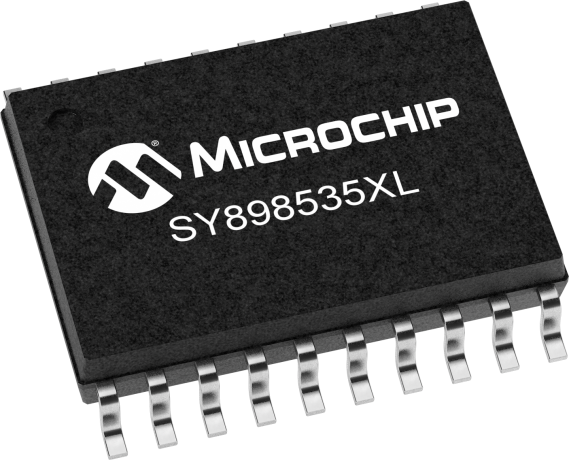 The SY898535XL is part of Micrel’s high-speed, Precision Edge® product line.